New technologies are helping close the gaps for those with physical disabilities. Each day, the physical capabilities that technology gives us isincredible, and we’re not just talking about texting friends atlightening pace, or the ability to see our energy consumption in realtime. We’re talking about the abilities given to us by new tech in thehealth industry, either to supplement or restore disabilitiesexperienced by people across the globe. Technology is giving us wonderful options for those of us withphysical limitations. From the blind to the deaf, from amputees to burnvictims, gadgets are creating a whole new realm of abilities. The Eyewriter is an outstanding inventionfor people unable to use their limbs. It is a set of glasses that candetect where a person’s eyes are looking, allow them to literally drawwith their eyes. Created for people diagnosed with Amyotrophic lateralsclerosis (ALS), the designers’ goal for the Eyewriter projectis to develop the most simple and inexpensive eye-tracking headsetpossible and open source the software so that ALS patients around theworld can create art and images on their own. Named as a Star Wars head nod to Luke Skywalker, the Luke arm is one ofthe most advanced prosthetic arms ever created. DARPA, the DefenseAdvanced Research Projects Agency, awarded $18 million in funding toDean Kamen in 2005 to bring prosthetics into the 21st century, and boydid he. The Luke Arm is the first bionic upper limb to provide 18degrees of freedom, a step up from its ancestors that only offer 3degrees of freedom. It can be controlled by wiring the device tomuscles or nerves, or with a foot pedal. It even has a tactile feedbacksensor in the hand allowing the wearer to sense what kind of pressurethey’re putting into their grip. Here is a video of Kamen showing offthe arm earlier this year. For amputees who have lost their legs, simply finding a prosthetic legthat allows them to move comfortably and freely can be a challenge. Butwhat if you want to run in a marathon, or have legs that look naturalfor a formal event? Athlete, fashion model and activist Aimee Mullinshas helped bring the possibilities for amputees to new heights. Sheshows how prosthetic leg design can transform the body into everythingfrom a work of art to a super athlete, or simply help a person easilyblend in to a social scene. Here is Aimee during a TED talk on thepossibilities held within designing high tech prosthesis. Hearing aids are helpful for the hard of hearing but they’re veryexpensive, especially when it comes to the batteries. For people withlittle money to spare or limited access to replacement batteries,hearing aids are impractical. That’s why Howard Weinstein created the Solar Ear,a $100 hearing aid with a solar powered battery that lasts as long asthree years. Weinstein is hoping to chip away at the gap between the600 million people who have hearing loss and the mere 8 million peoplewho can afford a hearing aid. On top of providing the gift of sound to those who might otherwisego without assistance, the Solar Ear project extends help far into thedeaf community through employment opportunities. All of the employeesworking on Solar Ear devices are deaf. Stereocilia, or the tiny hairs inside our ears, are an integral part ofthe hearing system. But overexposure to noise – such as experienced inmusic concerts or blasting tunes from an iPod – can permanently damagethem, degrading a person’s hearing over time. Researchers at Stanford,however, have hit a breakthrough in growing hair-like cells thatfunction just like those in our ears. This could mean solutions fordamaged hearing. The research is still about a decade away from offering a solutionthat can be used in humans, but the potential is there for helping torestore hearing to those with noise-induced hearing loss. Sometimes low tech is far more effective than elaborate gadgets. Suchis the case with Josh Silver’s eyeglasses that adjust to the wearer’scorrect prescription simply with liquid. More or less liquid is addedto the lens until the prescription is just right for the wearer. 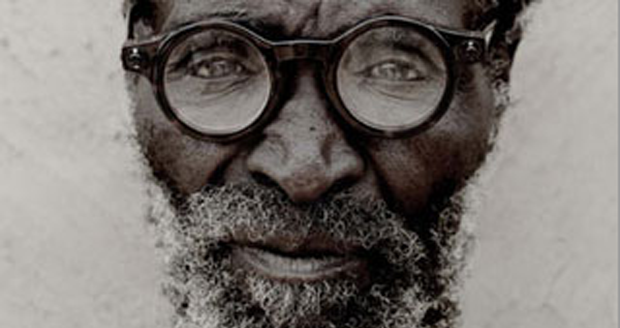 Theinexpensive glasses address an important need of more than one billionpeople in developing nations worldwide who lack access to eyecare. Hereis Josh Silver demonstrating how the glasses work and the impact theycan have on people, from improving their productivity to their qualityof life. Skin is an organ that protects our bodies from infection, and for burnvictims, it’s the loss of that protective barrier that is the biggestthreat. Skin grafts – surgically moving healthy skin from one part ofthe body to the burned area – is one way of aiding recovery. But whatif new skin could be created in an instant, sprayed on like a printersprays ink onto a paper? Turns out, we can do that. Researchers at Wake Forest University have created a device that canspray new skin cells onto burn victims, supplanting skin grafts as thestandard treatment. The device can be wheeled directly over a patientin a hospital bed, where a laser takes a reading of the wound’s shapeand size, and the precise amount of skin cells is applied exactly wherethey’re needed. Wheelchair technology has come a long way for getting people around.Ensuring they have a charge from a sustainable source of energy is partof that improvement. Over the last few years, we’ve seen Fuel Cell (Hydrogen-Powered) Wheelchairs and Solar Powered Wheelchairspop up as more environmentally friendly ways of charging up the chairs.While they’re not the most streamlined of chairs, using off-gridcharging is a big plus and we’re certain that in the next few years,we’ll see even more innovative and less bulky ways of incorporatingalternative energy into mobility.